June 13, 2018, 9:23 a.m.
Last week, retail store House of Fraser announced plans to close 31 of its 59 shops – including its flagship Oxford Street store – as part of a ‘rescue deal’. If the plans go ahead it could lead to the loss of 6,000 jobs across the UK. 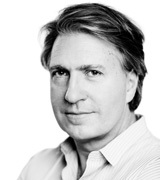 It is yet more bad news for the high-street and retail industry. While House of Fraser is not alone in its struggles – fellow department store Debenhams has difficulties of its own, while fashion brands such as Next and Topshop have reported falls in profit – it has taken dramatic action in an attempt to reverse its fortunes. Why has the retailer had to take this course? YouGov brand tracking data underlines a pattern of decline in the brand’s public perception over the past two years. 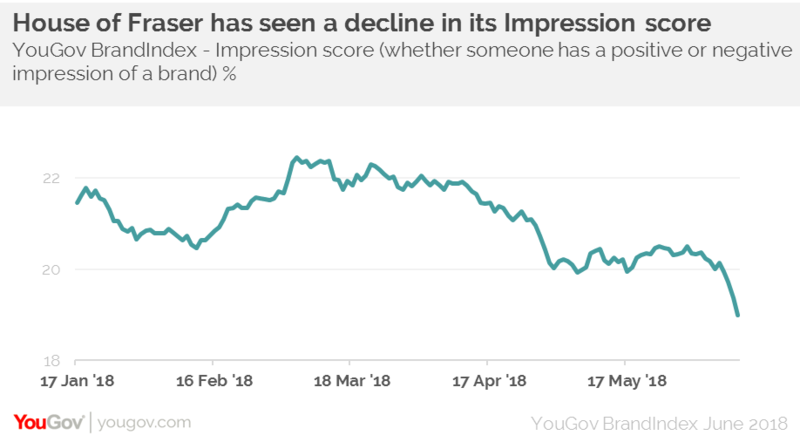 Since March 2018, House of Fraser’s impression score (whether someone has a positive impression of the brand) among the general public has fallen by four points, from 23 to 19. This has been mirrored by a decline in the brand’s quality score (whether someone thinks the brand represents good quality). This has dropped by four points, falling from 32 to 28. However, although its impression and quality scores are both still relatively strong – hinting that people do tend to like the brand in a general sense – the retailer is no longer a first choice, especially for shoppers conditioned to look for a bargain. This is illustrated by House of Fraser’s value score, particularly among younger consumers. Overall, it has a rating of just one, way behind online rivals that have outflanked it. Among 18-24s its score is minus four, well below other companies such as H&M (31), Asos (27) and Boohoo(14). The challenge for House of Fraser is to tempt shoppers back into its remaining stores, while improving its online offering. At the moment, traditional high street favourites have no answer to the emergence of brands such as Boohoo and Asos. With sluggish consumer confidence and high rents exacerbating the problem, House of Fraser’s dramatic restructure might not be the last such move we see on the high street over the next few months.